StP Douvres (ii), Distelfink, K.V.U.Gr Riva-Bella, K.V.Gr Caen. 1 x L480 Wasserman M IV FuMG402 (chimney) long-range aircraft reporting and height finding radar. 1 x L410A bunker & ringstand for 3.7cm Flak. 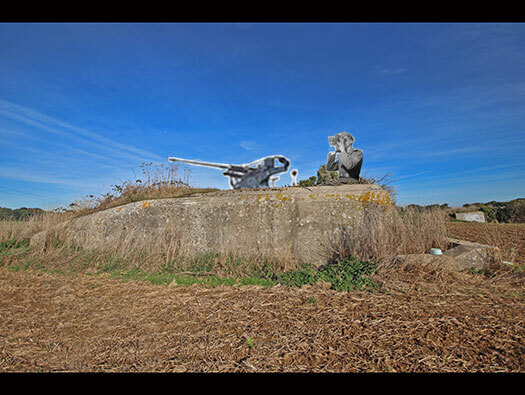 2 x L409A bunkers & ringstands for 3.7cm Flak. 1 x Transformer, two generators. 1 x Zisterne for water. I have the honour to report that the Radar station between Douvres and Beny-Sur-Mer, which was the main objective of 30 Assault Unit in the British theatre, was captured at 17.00 on the 17th June 1944. Commanding Officer 30 Assault Unit R.N. Wing. 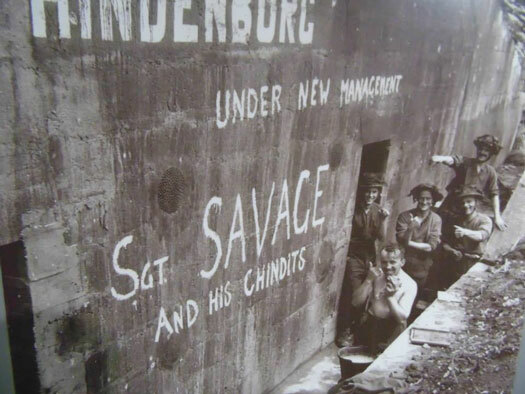 from HQ of 30 Assault Unit in Normandy. L480 Wasserman M IV FuMG402 (chimney) long-range aircraft reporting and height finding radar. L480 with the Wasserman destroyed. As the war progressed the Germans were taking a terrific pounding from the RAF at night and then with the USAAF in the day time, they needed to see what and when the aircraft were approaching. Radar was the new thing and scientists were inventing all sorts of radars. This radar had a long bunker with a circular entry in the end for a tall tubular tower. A motor rotated the aerial. It would have used a lot of power and there were two generators housed on the perimeter of the defence. Wasserman Apparatus (Chimney) Air 23/1242. Air 37/510 Attacks on Enemy Radar Installations. The radar station was surrounded by a large barbed wire fence all around it and a minefield MF100. L410A ringstand for a 3.7cm. An Allied high level photo of the area. Cameras being fitted to a Spitfire. Medmenham photo interpreter working away. Append IX (ii) - A Wasserman set, early air photo. AIR 37/510 Attacks on Enemy Radar Installations. Being attacked by rocket firing Typhoons. Rockets under a Typhoons wing. 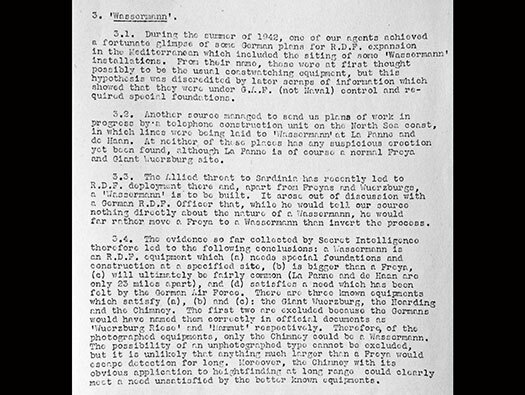 AIR 40/1667 Rhubarb - Appendix X(ii) Coastal Radar Stations an allied plan of the area. The Allies running up to D-Day selected many radar stations on the Atlantikwall to be attacked by rocket firing RAF Typhoon Squadrons. The idea was to put out the Luftwaffe eyes. 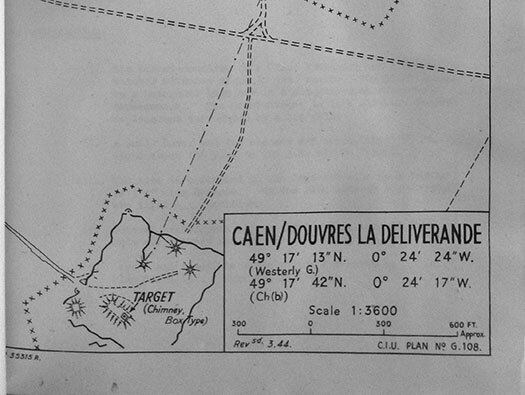 A plan of which radars to destroy and to leave as a deception plan running up to D-Day. This way they did not give away the secret of where the landings were going to take place. 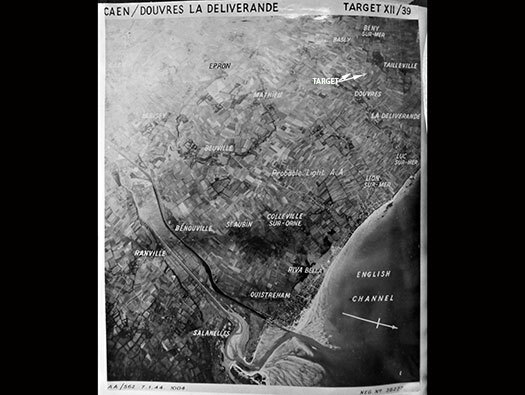 Douvres was a special target and needed taking out as its radars covered all the landing beaches and all the parachute landing zones. 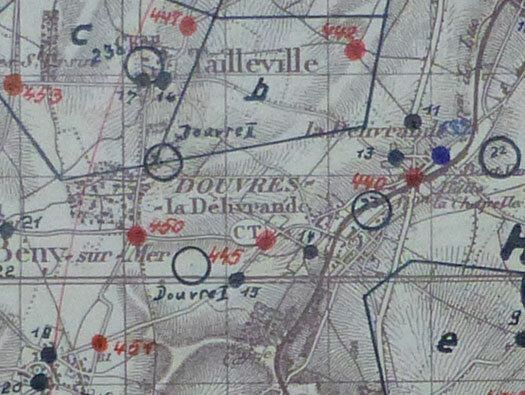 A German defence Artillery map showing where Douvres (i) & (ii) are and artillery targets If needed with numbers. 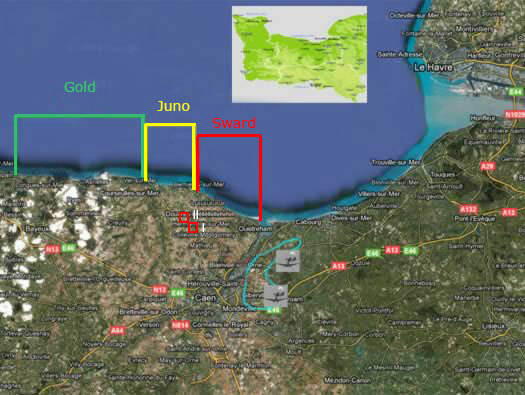 Circles are defence positions, StP's & Wn's. I am sure many of these were used as the battle field progressed across this part of Normandy. Most of the fixed artillery was 7.5cm F. H.â€™s and as the battle continued into day two and three the German field army would have brought their heavier artillery into play. These would have been 10.5cm and above. 10.5 cm leF. H. 18. 17.0cm 18 long range gun. 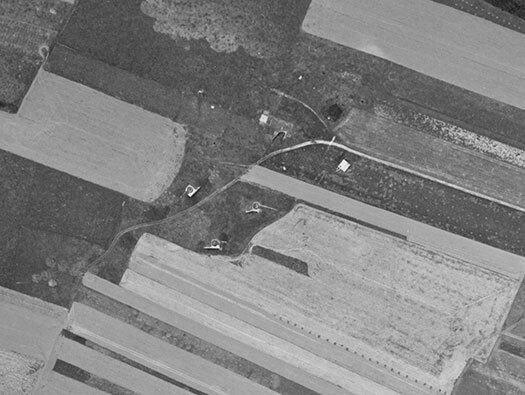 A very good air photo showing the three AA bunkers, the transformer on the top right and the L480 radar bunker. The flak bunkers were designed for 3.7cm Flak but here they used 2cm Flak 30 guns. The view from the modern road looking due north. Getting closer, the far side of the field was being ploughed so I could walk across here easily without damaging crops. The closest is an L409A Flak bunker. A large crew room, ammunition room, store room and gas lock with two entrances. Plan of an L409A bunker underneath the guns platform. The guns platform sits on about a quarter of the bunker. The L409A and L410A are both open emplacements for 3.7cm Flak 18 type guns but here 2cm Flak 30 have been used. The plan I think is orientated with the two entrances at the bottom (two red arrows). StP235 Carneville Osteck's L409A stairs coming down and in. StP235 Carneville Osteck's L409A crew room. Two entrances to the bunker underneath. StP235 Carneville Osteck's L409A stairs coming down. I am not sure what this is as it was very hard to see in. It may be a concrete trench to an external Feldmässig ammunition storage?? Looking up at where the gun would have sat. Tool kit for a 2cm Flak gun. Looking into the gun room with ammunition ready spaces set into the walls and a small crew room. A crew space in an L409A in Brittany showing where a radio/coms operator would sit with ear phones over his head listening for orders from the L410A control bunker. This is a radio operator very like it would have looked here. Looking into the gun space. 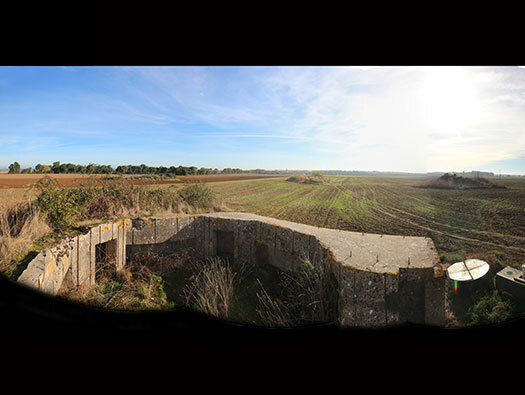 The view towards another flak bunker and the L480 radar bunker. L410A bunker could be called a command bunker, two crew rooms, none commissioned officers room, ventilation, ammunition, close combat and two gas locks with entrance. One of the entrances, sorry about the shadow. The entrance into the gun space where it would be closed off with either concrete or wooden bulks of timber. The concrete poles are part of a fence that I believe used to circled the site. Unable to cross the field so this is as close as I could get. From L to R aerial pit, workshop, spare parts, stores & lavatories, gear & fuel. The way the radar mast fitted into the bunker. The socket at StP235 Osteck. Inside an L480 at StP235 Osteck. 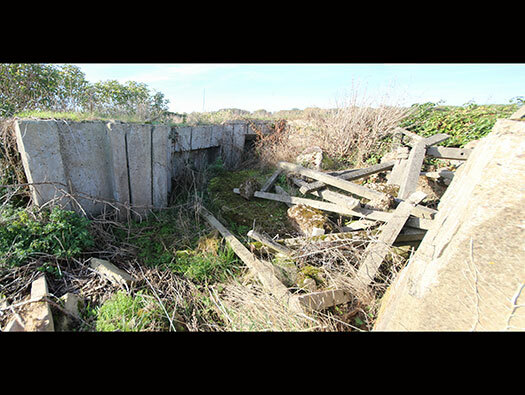 This is the L480 at StP235 Osteck Luftwaffe Station "Taussendfussler" east of Cherbourg. L480 at StP235 Osteck Luftwaffe Station "Taussendfussler" east of Cherbourg. 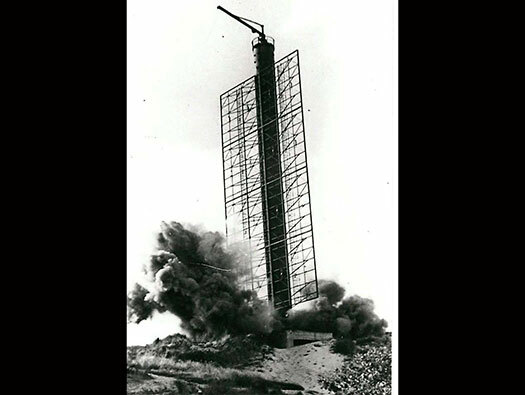 This is the L480 at I believe Vlissingen in Holland being destroyed, here the Wasserman was also blown up by the time the emplacement could be captured. L480 Wasserman StP Douvres (ii), Distelfink lying on its side after a controlled explosion. StP Douvres (ii), DistelfinkL409A (2) Hindenburg (name on the bunker). StP Douvres (ii), DistelfinkL409A (2) Hindenburg. The gun space with ready ammunition niches (the long oblong slots) and the two crew small spaces where telephone connection to the HQ bunker to receive fire control orders. 2cm Flak ammunition magazines ready to place on the gun. Another view with all the bunkers can be seen. Main L409A (2), Right to Left L409A (1), L410A & L480. When the gun was in place large wooden boards would close off the entrance and the ammunition niches and small crew rooms. On the right, when the gun space was closed off there is one entrances like chicanes to get inside. Its hard enough for me at my over weight size but a fully equipped German soldier with his tin hat on would have had as much trouble as me to get in in a hurry. StP Douvres (ii), Distelfink L409A (2) Hindenburg. There were several battles for the site, first air and then the Canadians attacked on D-Day but decided to skirt around it and leave the StP to later troops. Report of 30 Assault Unit. 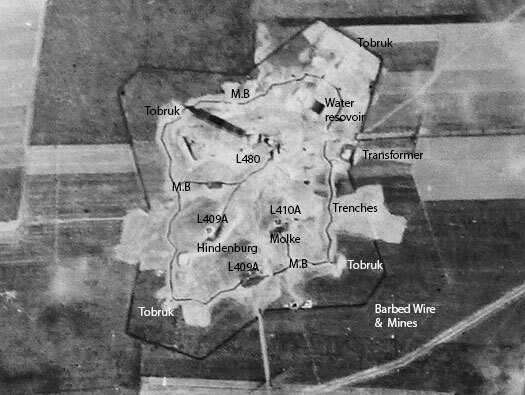 The northern site (StP Douvres (ii) was captured by members of No.41 Commando. (i) A box type WASSERMAN tower lying on its side (Damaged on D-Day). Radar control apparatus housed in an underground concrete shelter, but had been so badly damaged by fire to be unrecognisable. ((ii)i) Three concrete bunkers with gun emplacements (the three flak bunkers). (i) The operational control room consisting of a sunken cellar with a roof opening some 10'ft square, covered in a glass grid screen projecting into a room above. ((ii)) The display gear was found still in boxes and possibly never finished. ((ii)i) Documents picked up from all over the floors. (iv) A great deal of Radar equipment was either stripped or badly damaged by the Germans and buried. All parts unearthed and sent home. 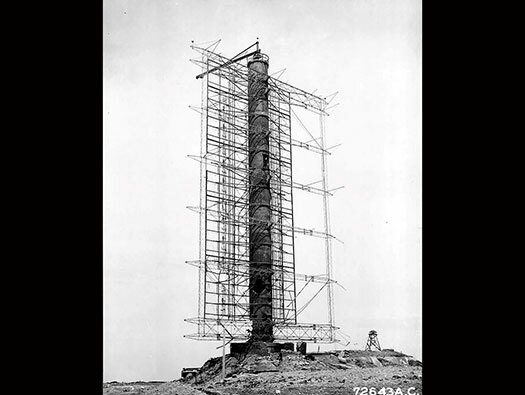 (v) The control platform of the Wasserman tower was situated in the middle of the tower and electrically controlled from the underground Radar cabin. It was protected by armoured plating 3/8'' in. thick. (vi) RAF technician drew a plan of the Wasserman feeder circuit. (v(ii)i) The diesel generators were not removed as they could be used to power the electrical water pumps to keep the water supply to civilians in the area. 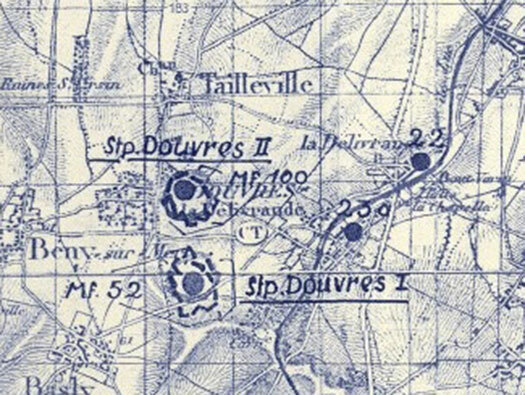 35 prisoners were captured at StP Douvres (ii). Members of 30 Au in Normandy. 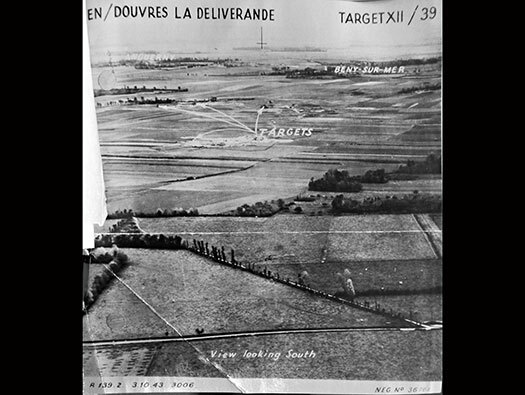 Air 14/3266 Enemy RDF 17/03/1943 plan. Air 14/3266 Enemy RDF 17/03/1943 Chimney Radar at Fermanville -	StP235 Osteck .